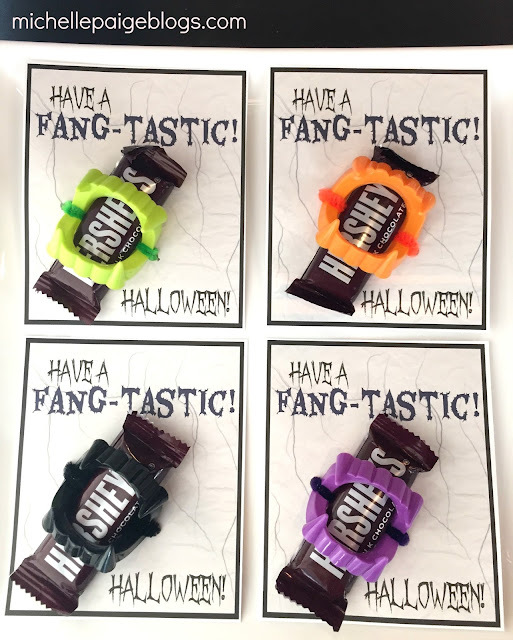 Need a 'fang'tastic Halloween treat to hand out to those special kids (or adults) in your life? Of course you do! I'm not sure what it is about plastic fangs, but every kid loves them...including my teenagers. 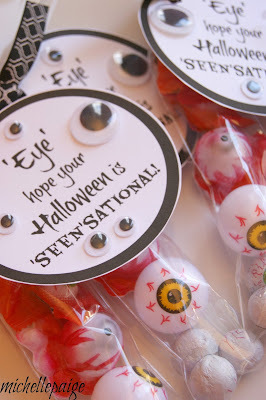 These however, are going to my nephews. 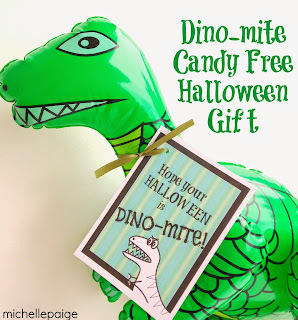 Here's the supplies to make your own. 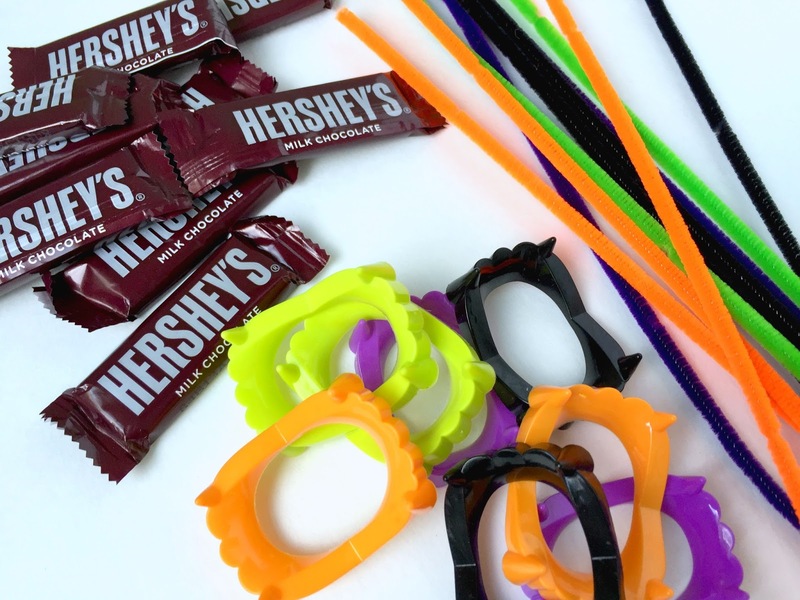 -Pipe cleaners or chenille stems. Print out the 'Fang'tastic Cards on card stock. 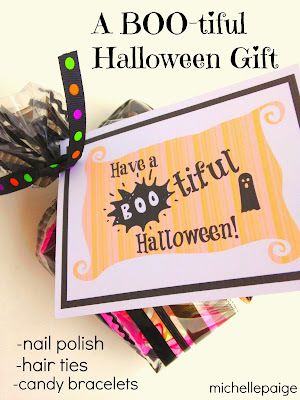 Click here to print your own cards. Do you have a Big Punch Crop-O-Dile? This tool is one of my favorites! It has such a big reach, that it can punch holes in the middle of a page. 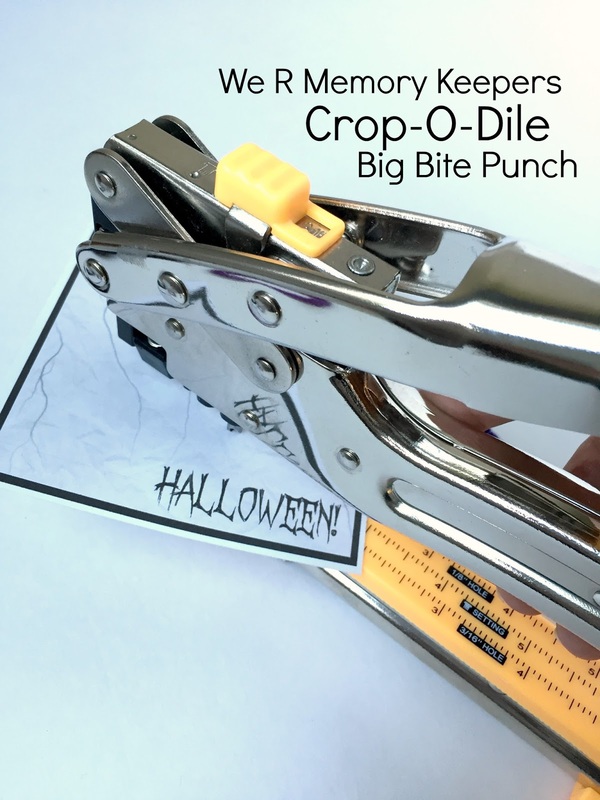 You'll need a tool like this to punch the holes in the middle of the cards. Another option is this easy to use eyelet Silent Setter. 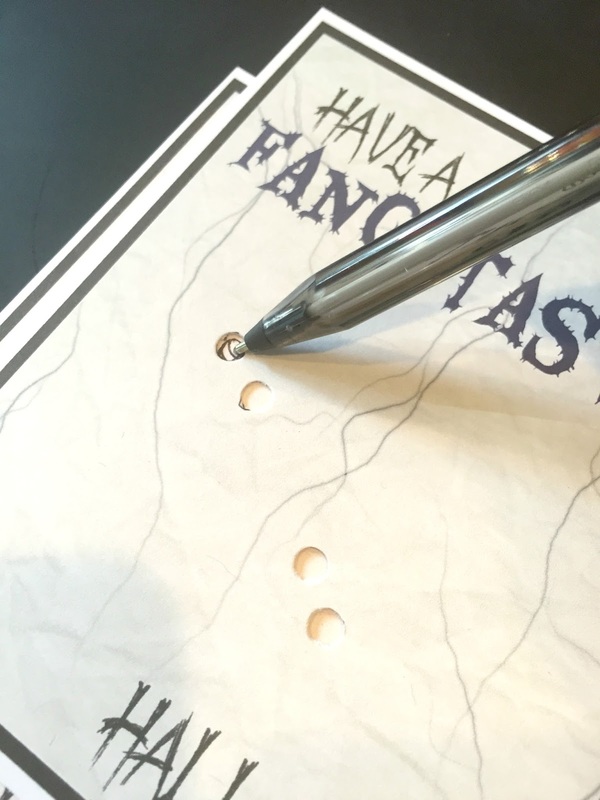 First, print your cards and trim them. Next, lay out a plastic fang on the card and mark where to punch your holes. 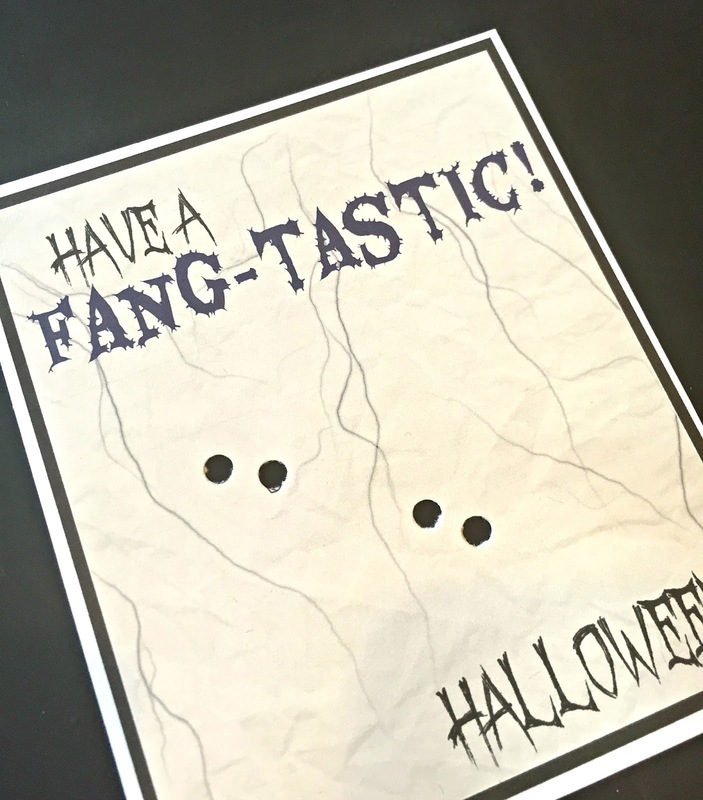 I designed these cards to have the fangs lay diagonally so you can read the word, 'Halloween'. You want the holes to lay right next to the bend in the fangs. 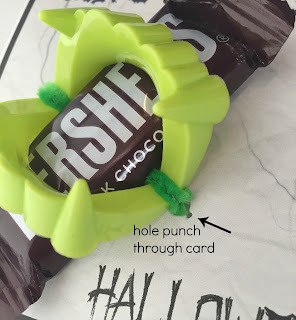 Punch two holes close together. Place fang in between the holes. 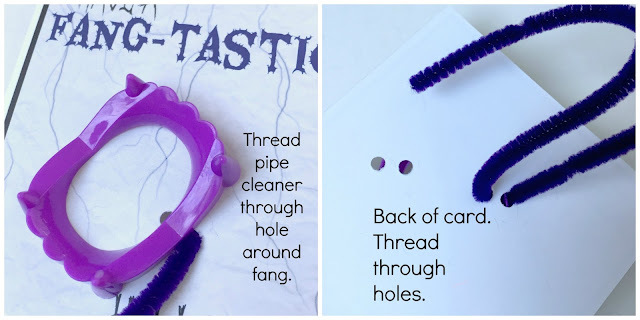 Thread pipe cleaner up from the back of the card through the hole, around the fang and back down the 2nd hole. Tighten to secure. Now, mark where the next set of holes should go. 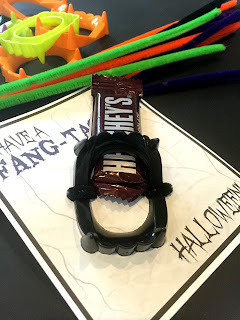 Hole punch and continue threading the pipe cleaner around the other side of the fangs. Tighten to secure. Twist the ends of the pipe cleaner together on the back of the card. 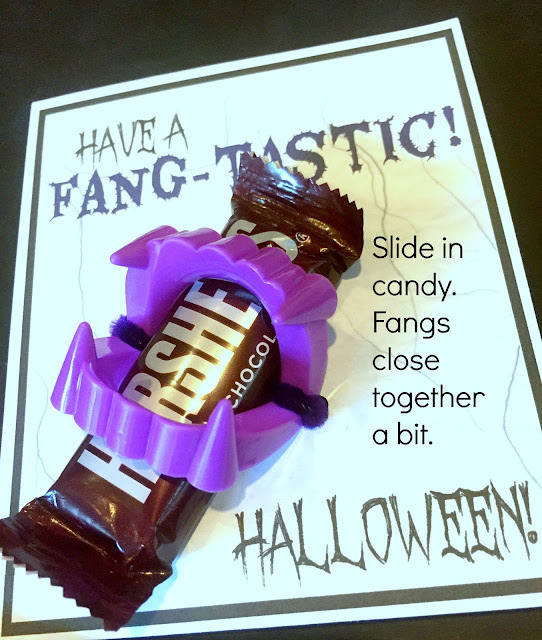 Slide the Hershey's snack size candy through the fang. You may need to add a piece of tape underneath the candy, to hold it in place. The fangs actually fold up a little once the candy is inserted, which looks kind of cool. 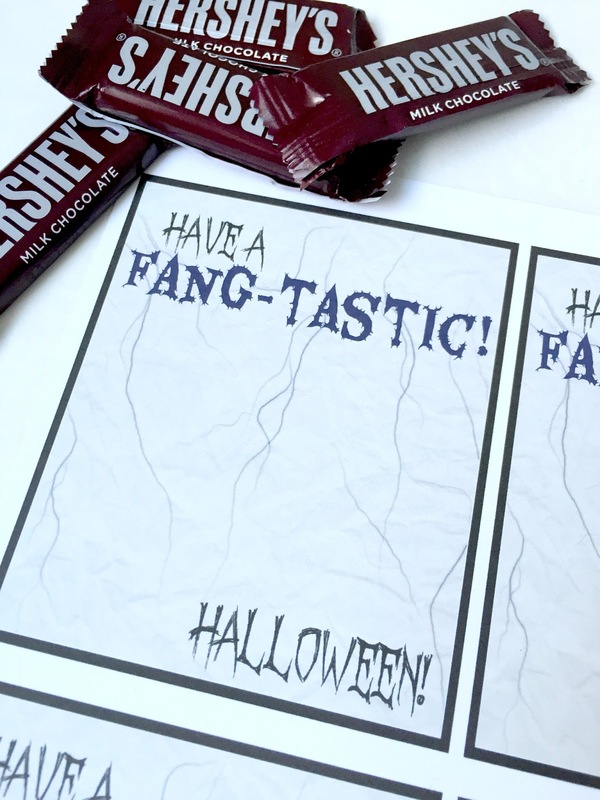 Now, here's a tip if you're making more than one of these cards. 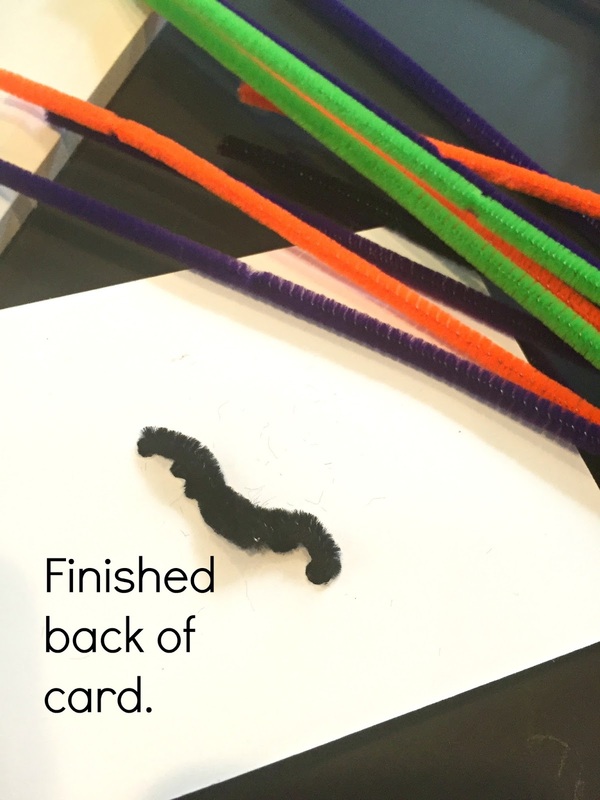 After making one, undo the pipe cleaner and use the card as a template to place the holes in the other cards. 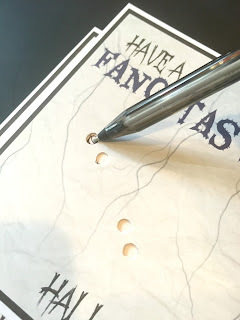 Simply place another card under the hole punched one, and mark the holes. 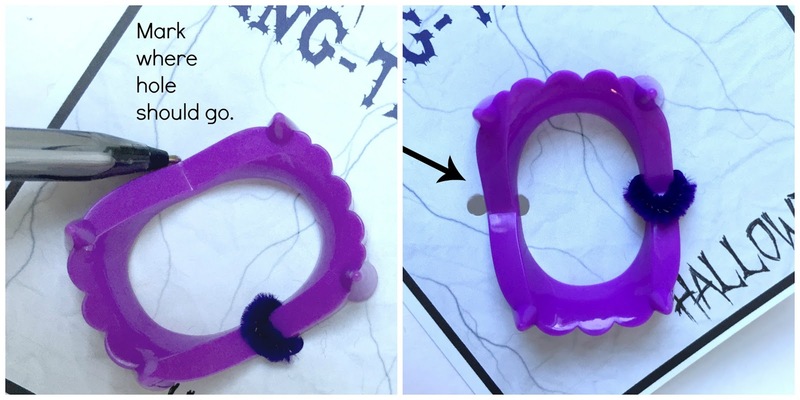 Now, you'll know exactly where to punch without marking around the fangs each time. 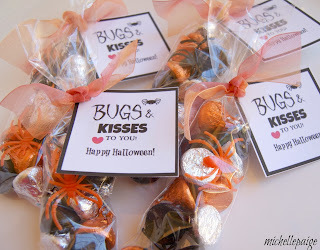 I sure the kids will love these! 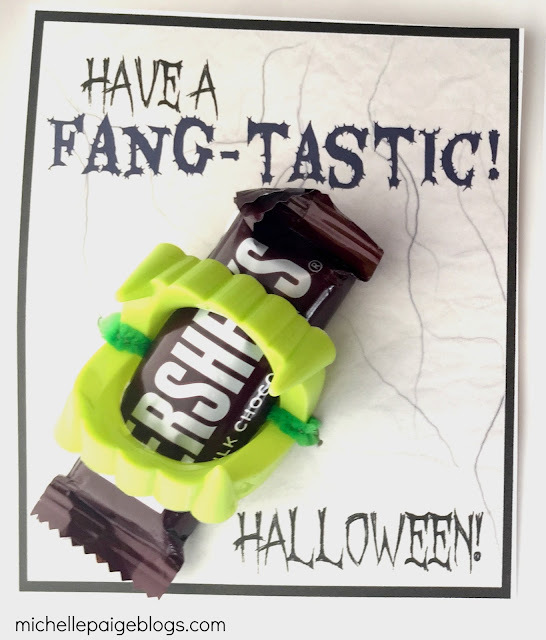 Happy 'Fang'tastic Halloween to you!